Swept-source optical coherence tomographic findings in morning glory syndrome. 02 Egawa M, Mitamura Y, Hayashi Y, Naito T: Spectral-domain optical coherence tomographic and fundus autofluorescence findings in eyes with primary intraocular lymphoma. J Ophthalmic Inflamm Infect 4:7,2014 doi: 10.1186/1869-5760-4-7. 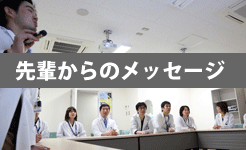 04 Kitahashi M, Baba T, Sakurai M, Yokouchi H, Kubota-Taniai M, Mitamura Y, Yamamoto S : Pneumatic displacement with intravitreal bevacizumab for massive submacular hemorrhage due to polypoidal choroidal vasculopathy. Clin Ophthalmol 8:485–492,2014. 05 Bhuyan ZA, Asanoma M, Iwata A, Ishifune C, Maekawa Y, Shimada M, Yasutomo K: Abrogation of Rbpj Attenuates Experimental Autoimmune Uveoretinitis by Inhibiting IL-22-Producing CD4+ T Cells. PLoS ONE (IF=3.73) 9:e89266,2014. 06 Arakaki R, Eguchi H, Yamada A, Kudo Y, Iwasa A, Enkhmaa T, Hotta F, Mitamura-Aizawa S, Mitamura Y, Hayashi Y, Ishimaru N: Effects of rebamipide eyedrop administration on ocular lesions in a murine model of primary sjögren’s syndrome. PLoS ONE (IF=3.73) 9:e98390,2014. 08 Hayashi Y, Mitamura Y, Egawa M, Semba K, Nagasawa T: Swept-source optical coherence tomographic findings of choroidal osteoma. 10 Semba K,Namekata K, Guo X, Harada C, Harada T, Mitamura Y: Renin-angiotensin system regulates neurodegeneration in a mouse model of normal tension glaucoma. Cell Death Dis (IF=6.044) 2014 Jul 17;5:e1333. 11 Semba K, Namekata K, Kimura A, Harada C, Mitamura Y, Harada T: Brimonidine prevents neurodegeneration in a mouse model of normal tension glaucoma. Cell Death Dis (IF=6.044) 2014 Jul 17;5:e1341. Dock3 overexpression and p38 MAPK inhibition synergistically stimulate neuroprotection and axon regeneration after optic nerve injury. 14 Hotta F, Eguchi H, Naito T, Mitamura Y, Kusujima K, Kuwahara T: Achromobacter buckle infection diagnosed by a 16S rDNA clone library analysis: a case report. 01 四宮加容： 特集　小児眼科手術―成人と異なる手技とコツ　眼瞼手術. 眼科手術　27:27-32,2014. 02 香留崇、三田村佳典： 「何が見える？何がわかる？OCT」　IS/OSに注目してみよう―網膜色素変性 臨眼　68:438-442,2014. 03 香留崇： 特集：再生医療とコンピュータサイエンス　「加齢黄斑変性に対する再生医療」 四国医誌　70:3-6,2014. 01 三田村佳典： 網膜剥離 今日の治療指針　2014年版―私はこう治療している P1324、医学書院、2014. 02 四宮加容： コントラスト感度検査 眼科診療クオリファイ22　弱視・斜視診療のスタンダード. P73-76　中山書店、2014.